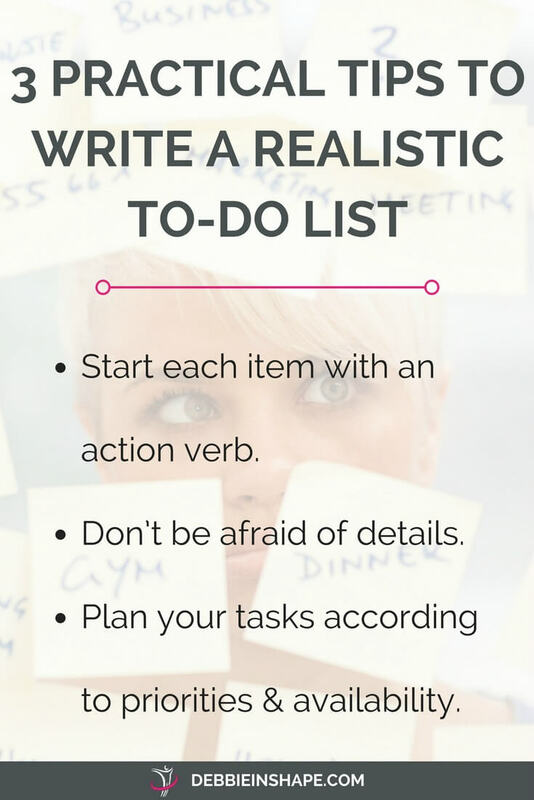 We need a realistic to-do list to be more productive. But what does it mean? Read these practical tips to help you get the results you want. 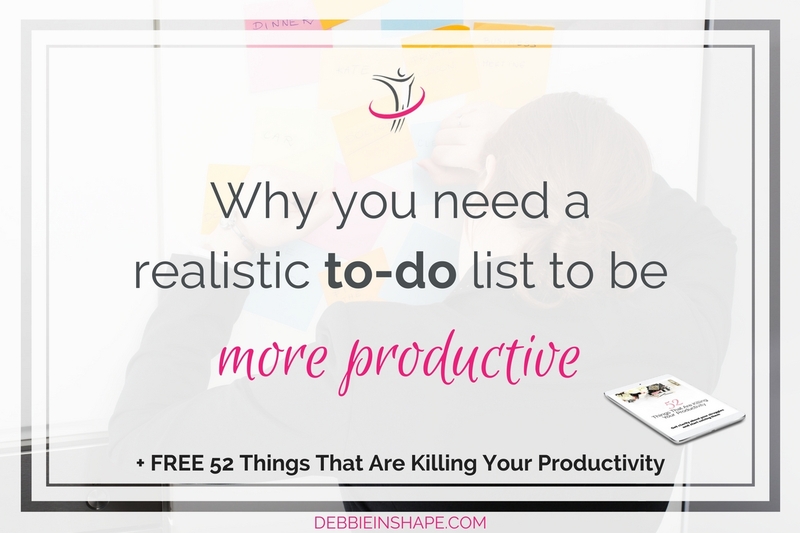 Having lists help us get organized, but we must have a realistic to-do list to be more productive. 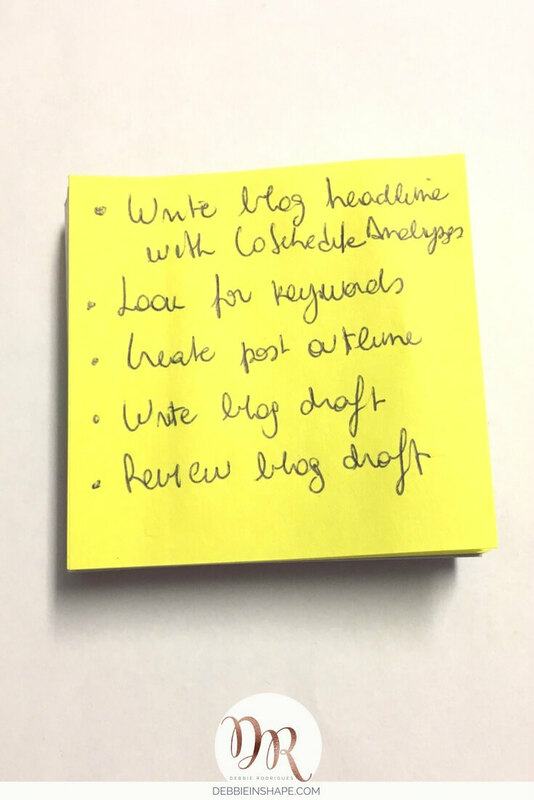 You have a list from the moment you start to write things down using bullet points. 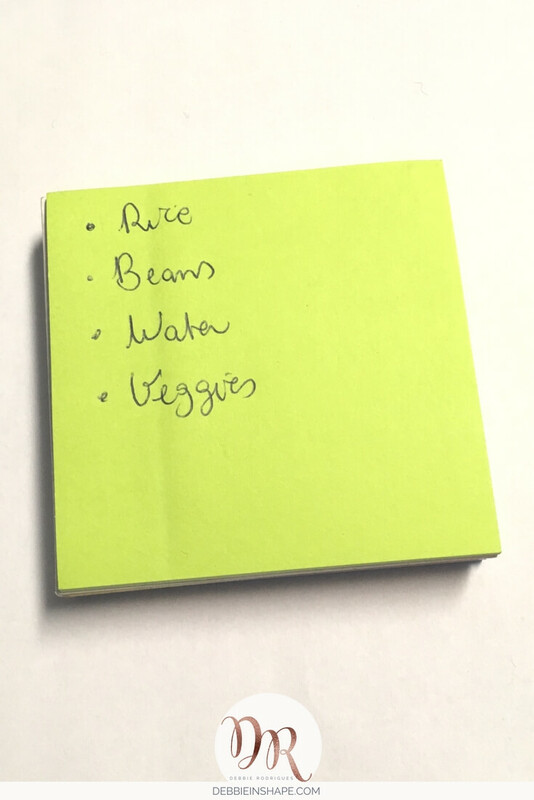 This is an example of a shopping list. While you’ll probably think it’s just fine, I’m here to tell you it could be better. A LOT BETTER! Have you ever handed such a list to someone? If yes, did you get the groceries you were expecting? I’d guess that your answer is “no”. Of course that if you were the one doing the groceries, you wouldn’t need any extra information. But as you can see your day-to-day shopping list has room for improvement. 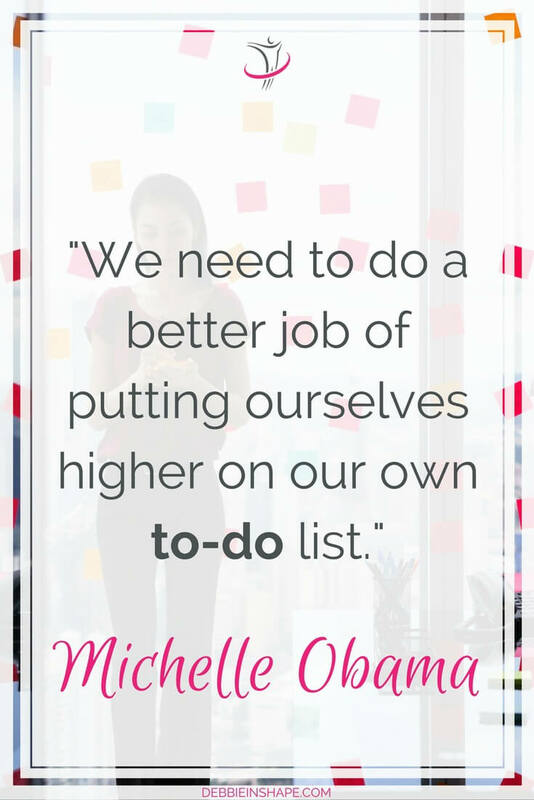 We need lists to keep ourselves organized. There are many ways you can do it. But on this post, I’m focusing on how you can create to-do lists that will boost your efficiency. Below you’ll find my 3 favorite practical tips. The major difference between your shopping list and a to-do list is the fact that the second is related to tasks, not objects. So the first practical tip about your to-do list is that each item has to start with an action verb. This one is just to illustrate what I mean. Unless you specify the action that needs to take place, your planning is going to be vague. Making it very hard to understand and follow through. You can also underestimate the required time because you misunderstand or overlook steps. Taking our to-do list one step further, how about shedding some light on the first item of my previous example. What do I exactly mean by “scheduling a blog post”? Is it only the final step before publishing my article online? Or is it more? If I already have everything that needs to be completed and all I have to do is scheduling, the description is perfect. That leads us to my second practical tip that’s not being afraid of details. For some reason, many of us feel more comfortable writing just a sentence or 2 to describe entire projects. You may save a lot of paper with it, but it isn’t a realistic approach. Isn’t the example above a much clearer picture of what exactly I need to do? Yes, I do have more items on my to-do list, but I have to perform these tasks anyway. Why should I hide them? To be sincere with you, I see each blog post of mine as a project. A small one, but still a project. You have no idea about the time and headache this approach saves me. Finally one of the greatest advantages of not being afraid of details is keeping my list real. 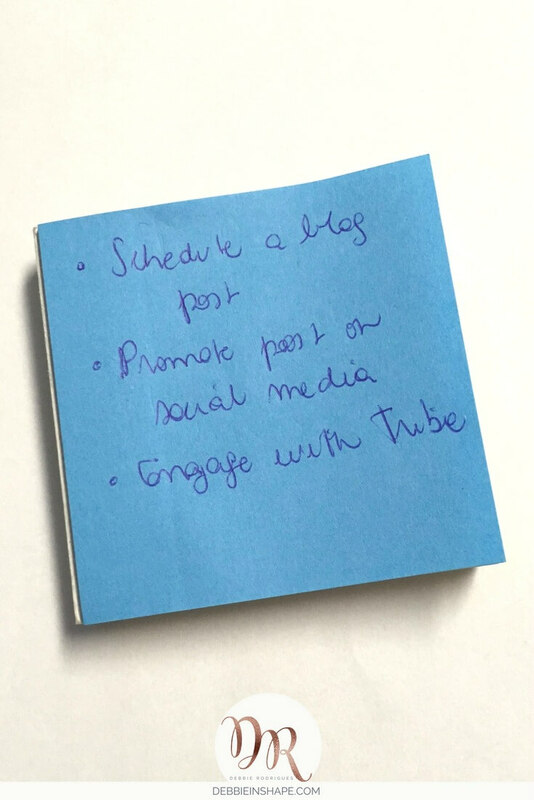 Using another item from the blue post-it, how can I plan my day well if I just write down “engage with Tribe”? If I want to be naive, I can say I’m doing my work if I just scroll my Facebook feed up and down. But is it really engagement? Or is it just pastime? The last practical tip I have for you today is to plan your tasks according to their priorities and your availability. If I’m having a very busy day and I need to reorganize my priorities, I’ll put engagement with my clients and customers above chatting on Facebook groups. Any person who reads my blog posts, subscribes to my newsletter , or share my content on social media is a member of my Tribe. However, there are those who value themselves and my services so much they invested in my coaching packages and courses. Of course that, if I run short on time, I reschedule other sorts of interactions to make sure these people get my full attention. And it’s only possible because I make them a priority and block time to answer their questions and provide all the requested follow up. They save us a lot of time and headaches. But as important as having a to-do list is organizing it. If you need help to create a realistic to-do list to be more productive, please, come on over to our challenge. This week, we’ll be covering all the steps to boost your efficiency with an effective list of tasks. The 2017 52-Week Challenge For A More Productive You is free. 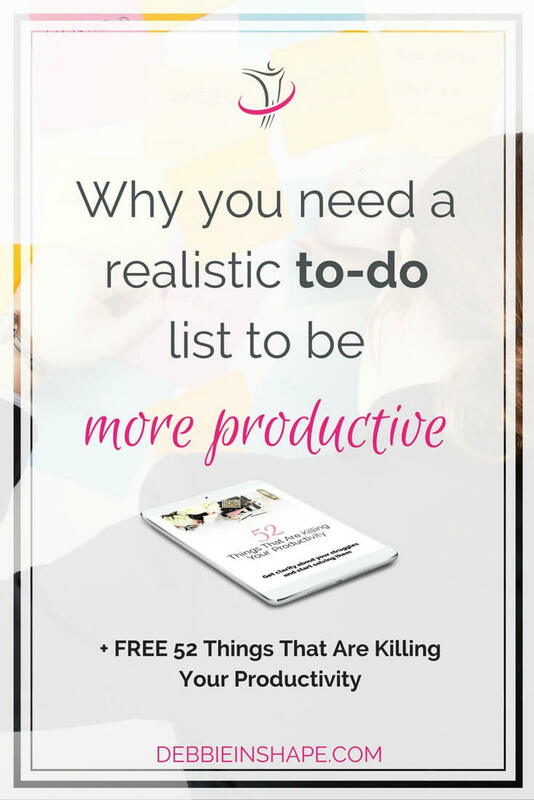 Grab your copy of my list of 52 Things That Are Killing Your Productivity and join the conversation.